First performed at the Manchester International Festival of 2007, The Pianist recalls the experiences of an unnamed Jewish musician trapped in Warsaw during the Nazi occupation. He begins the war as a member of a happy family, living with his father, mother and two sisters; by the end, he has not only lost all of them, but has been forced to live like an animal, stuck in an attic and living on scraps for fear of discovery. The narrative is structured as a series of monologues (read by Peter Guinness), interspersed with pieces of Chopin (played by Mikhail Rudy). The monologues describe harrowing experiences, such as his family being rounded up by the Nazis and herded into trains smelling of chlorine. The reason for this is simple: all Jews in Warsaw are going to be "melted down" - a much more effective means of disposing them, instead of putting them into concentration camps. By sheer chance the narrator escapes and spends the rest of the war in the attic - not playing the piano but managing to read books where necessary. On one occasion he encounters an enemy officer and believes that his days are numbered; by sheer chance, however, the officer turns out to be a member of Polish radio - someone who admires classical music and asks the narrator to play. Eventually the war ends and the narrator emerges to find his beautiful city completely destroyed: the Nazis not only razed all the buildings to the ground, but removed all evidence of the death camps, where all the Jews died. The task of discovering a new life seems impossible at present; all he can do is to breathe the winter air and watch the snow falling in large flakes. On several occasions Guinness' delivery seemed almost matter-of-fact, almost as if he were recounting ordinary events. This rendered them even more harrowing; this was perhaps the only way he could make sense of what was happening around him. Rudy's musical interludes were occasionally too long, which had the effect of interrupting the narrative. On the other hand, perhaps the music was intrinsic to the drama; this constitutes another strategy to make sense of wartime turmoil (remember Myra Hess' wartime concerts in London). 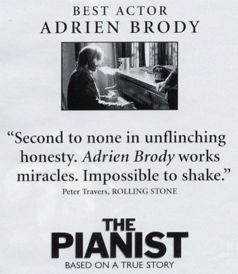 Memorably filmed some years ago by Roman Polanski, The Pianist is a powerful story that works on any medium. First broadcast in 2007, this radio version deserved its repeat. 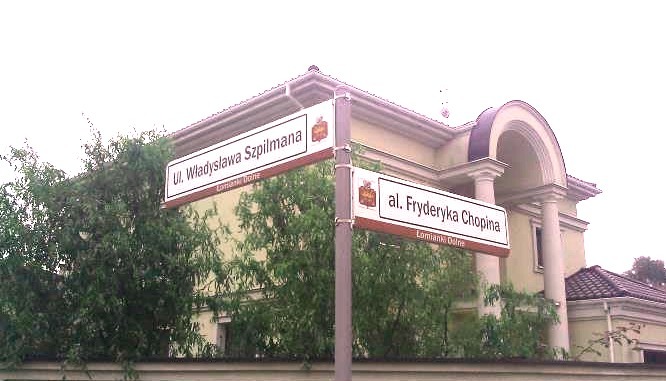 Events marking the 100th anniversary of the birth of Wladyslaw Szpilman, whose tale was told in Roman Polanski's "The Pianist", have been inaugurated in Sosnowiec, southern Poland. It was there that the famous Polish musician of Jewish origin was born on 5 December 1911. A commemorative plaque is placed on the house on 18 Targowa Street, where he was born and lived with his parents and two sisters. A national contest for the best interpretation of Szpilmans songs has been announced. Piotr Celej, its organiser, has said that the idea is to look for new arrangements and innovative interpretations of Szpilmans hits so that to re-discover his compositional output. The competition is open to all singers over 17 years of age. The finals will be held in Sosnowiec on 5 December. 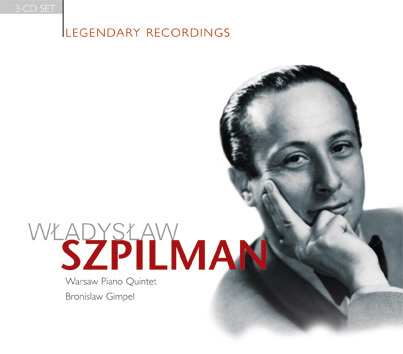 Wladyslaw Szpilman studied the piano and composition in Warsaw and Berlin, and worked at Polish Radio for four years until the outbreak of war. He miraculously avoided capture by the Nazis. In the final months of the war, he found shelter in the ruins of Warsaw and survived thanks to the help from his friends and a German Army officer. After the war, he resumed his professional contacts with Polish Radio, serving as director of its music department for 18 years. He then founded the Warsaw Piano Quintet, which toured around the world for more than two decades. His compositional output includes some 500 songs, many of which became hits, and several symphonic works which have remained in the concert repertoire till today. What made him famous, however, was an autobiographical book describing how he survived the Holocaust and its Oscar-winning film version The Pianist, made by Roman Polanski. A series of events recalling the life and career of Wladyslaw Szpilman, who was made famous by Polanskis Oscar-winning movie comes to an end in Warsaw. Listen to the report, with comments from the pianists son Andrzej Szpilman, the Israeli Ambassador in Poland Zri Rav-Ner, the music producer Robin de Levita who is planning to produce The Pianist on Broadway, and Frank Harders-Wuthenow of the British music publisher Boosey & Hawkes. 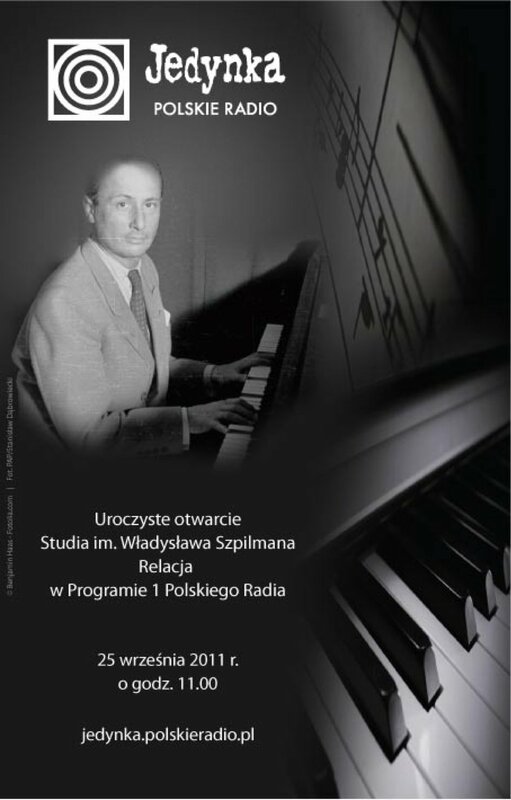 After thorough refurbishment, Polish Radios Studio 1 has been re-opened and named after Wladyslaw Szpilman, a Polish musician of Jewish origin whose war-time plight was made by Roman Polanski into the Oscar-winning film The Pianist. At the opening ceremony at the Polish Radio buildings in Warsaw, Sunday, Halina Szpilman, the pianists wife unveiled the commemorative plaque outside the studio. The opening is one of the current events marking the 100th birth anniversary of Szpilman. 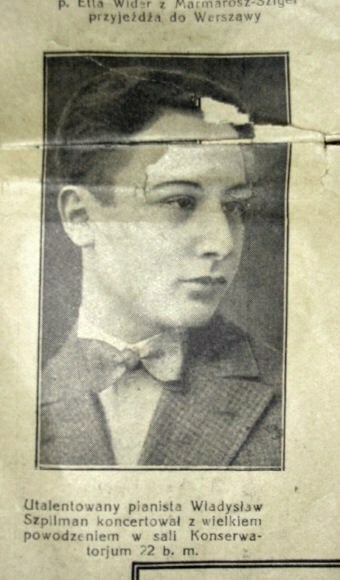 Wladyslaw Szpilman joined Polish Radio in 1935, with his last live performance aired on 23 September 1939, before being interrupted by gunshots. 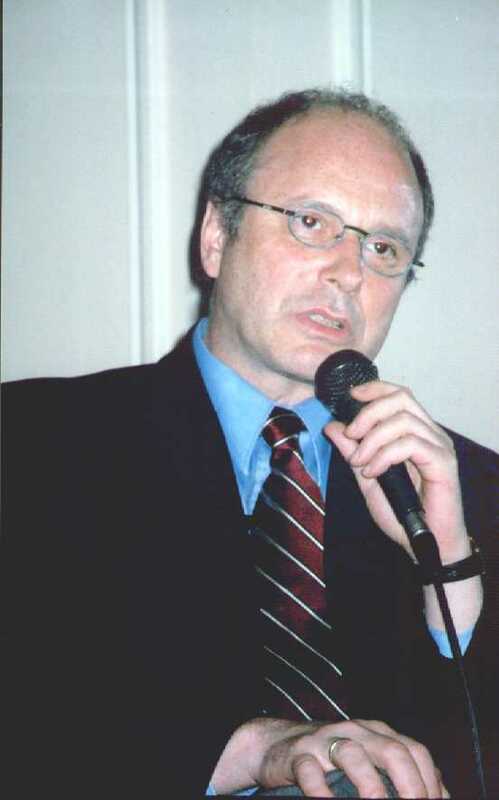 Speaking at the event, the Chairman of Polish Radio Andrzej Siezieniewski said that during the occupation of Warsaw, a number of colleagues from the radio helped hide Szpilman. Wladyslaw Szpilman - plays Sergei Rachmaninovs "Rhapsody on a theme by Paganini"
Several hundred Wikipedia editors and co-authors from all over the world are meeting at the Wikimania 2010 conference in the coastal city of Gdansk this weekend. 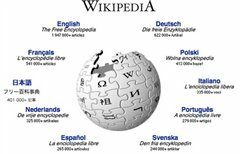 Over a hundred Wikipedia authors from 40 countries will give a speech at the conference. Participants of the event will discuss the future of the internet encyclopedia, new initiatives and projects as well as internet censorship. A concert marking the 10th anniversary of the renowned Polish pianist Wladyslaw Szpilmans death and the first screening of a film about Wikipedia Truth in Numbers will accompany the conference. Best known as an Oscar-winning film by Roman Polanski and based upon the memoirs of Wladyslaw Szpilman, this is the harrowing story of one man's time in the Warsaw Ghetto during the Nazi occupation. In an entirely new performance using Szpilman's original text and the ravishing music of Chopin, this moving account unfolds against the iconic setting of a warehouse attic in one of Manchester's most historic buildings. 'The Pianist' is a powerful and true story of suffering, strength and survival that gains extra resonance from the intimate surroundings of the 1830 Warehouse at the Museum of Science and Industry, where it will be performed in English for the first time. SAcclaimed British theatre director Neil Bartlett, whose work has been seen at the Lyric Hammersmith, the Royal Shakespeare Company and the National Theatre, brings together actor Peter Guinness as narrator, and award-winning concert pianist Mikhail Rudy for this thought-provoking journey through one man's extraordinary story. It was always my greatest wish to have the chance to present the work of my father Wladyslaw Szpilman to a wider public outside Poland. For a long time, his work seemed for a whole number of reasons to be unable to gain acceptance in the West. Although he gave more than two thousand concerts in the West, these went largely undocumented by the record industry, while for the Polish regime of the time he was only important as a composer of light music. And light music was allowed to be circulated without any obligation to name the author. Szpilman received no official encouragement as a composer of serious music: others, thus the Party line, were better suited to this purpose, composers with purely Polish names who could represent the communist country well to the outside world. 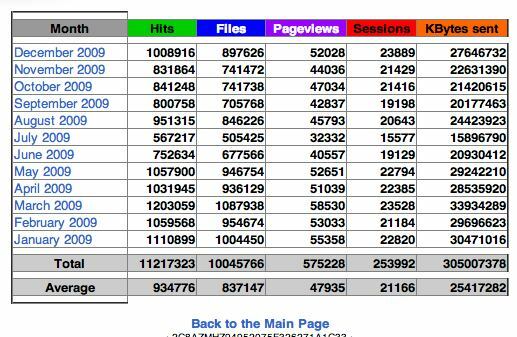 Such figures could be presented as products of the new order, with corresponding national pride and official promotion. 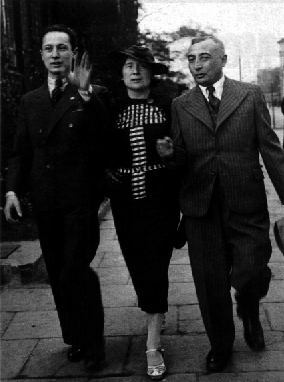 As a result, after writing a good deal of serious music in the 1930's, my father's activity in this field came to a standstill after the war. Only one last time did he take up his pen again to compose Classical music: when a wave of anti-Jewish feeling swept through Poland in March 1968, he wrote his Little Overture, a ballet score, reconstructed the Waltz in the old style, and arranged several chansons for a large orchestra - altogether, about 60 minutes of music. Today I know that this enabled him to overcome his depression, just as he worked on his Concertino for piano and orchestra in 1940 in order not to dwell on the creation of the Warsaw ghetto. None of these works was commissioned by the Ministry of Culture, as was the custom in the case of other composers favoured by the state. I can recall him composing in 1968, with the scores spread out on the table, and I know that he loved to compose. He did so out of an inner motivation, and less to please the music critics, who searched his work in vain for hints of the avant-garde. But at the time, Szpilman was much too close to the kind of music his American contemporaries were writing to be able to integrate into the 'social realism' that dominated cultural life in Poland. 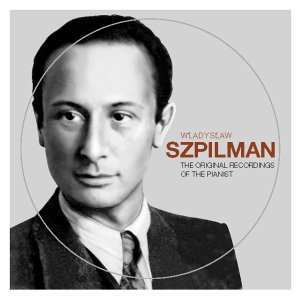 As I said before, the name Szpilman was not regarded as a successful export. Polish light music was bound via the legal system of the Polish copyright society ZAiKS to the Polish-language texts of songwriters who toed the Party line, and only after my father's death did the transfer of the copyrights to the German music copyright society GEMA make it possible for his songs to be recorded in the USA with texts in English. I asked several well-known American songwriters to collaborate on the project, and the outcome was a CD recorded with the support of a group of outstanding musicicians in Los Angeles, featuring 12 of my father's chansons sung by Wendy Lands. This was in all likelihood the very first presentation in the United States of songs by a composer working in Poland. 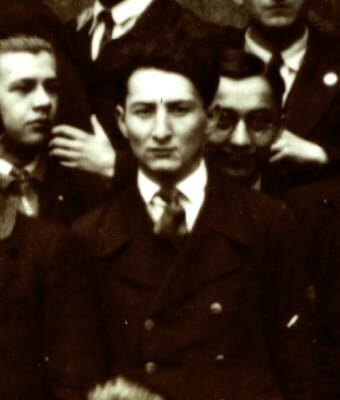 But there was one thing in particular that the Polish regime couldn't destroy: my father's close friendship with the great American violinist of Polish extraction, Bronislaw Gimpel, which dated back to 1934. In that year Gimpel, who was already a celebrated virtuoso, came to give a series of concerts in Poland - he had just returned from a visit to Italy, where he performed for Pope Pius XI, was decorated with a medal by King Vittorio Emanuele III, and played on one of Paganini's violins at the great musician's grave in Genua. Gimpel was not happy with the pianist he was provided with, and asked his impresario to find him a new one. 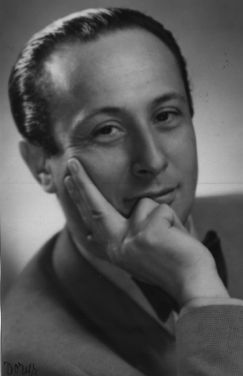 Wladyslaw Szpilman auditioned for the job, and this marked the beginning of a musical cooperation that was to last more than 40 years. Of course the two men did not only get along on an artistic level, they also had feelings of a brotherly nature for one another. I have the impression that Bronislaw Gimpel represented a bridge for my father between the intact pre-war period and the years after the war, when he had lost his family and music was the only thing that remained unchanged. For Gimpel there was always a degree of risk involved in planning recitals with Szpilman. He never knew whether my father would be allowed to travel to the concerts in the West - sometimes the Polish authorities were reluctant to grant him permission to leave the country, and on one occasion, in 1947, my father arrived in Rome to start a tour of Italy on the day of the first concert. 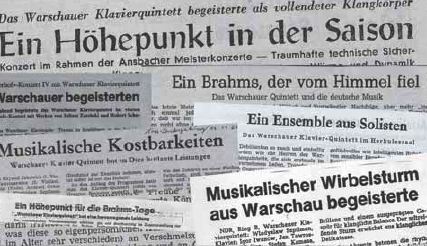 He and Gimpel had to play without a rehearsal beforehand, but this was repertoire they had already rehearsed together before the war broke out. By the same token, for some time - from 1968 to 1976 - Gimpel was not allowed to enter Poland, where he was declared a 'persona non grata' for reasons that were not clear to anyone. Many artists of Jewish extraction suffered a similar fate at this time, even Artur Rubinstein, another friend of my father's. In these years, as had also been the case between 1948 and 1956, the time of the most severe Stalinist dictatorship in Poland, my father's contact with Bronislaw Gimpel was restricted. Nonetheless, they were still able to make many recital tours together subsequently - to Poland, Italy, France, Germany and South America. 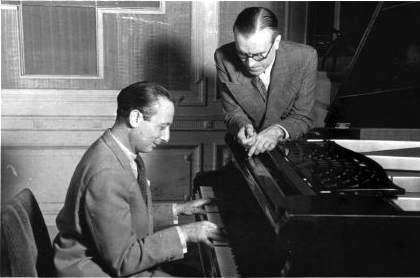 With only a few exceptions, Gimpel kept the promise he had made when he first met Szpilman: "From now on, I'm only going to play with you". When my father turned out to be a skilled organizer with the successful establishment of the International Song Festival in Sopot in 1961, Szymon Zakrzewski of the PAGART agency commissioned him to form a chamber ensemble. Naturally enough, he enlisted Gimpel's help without further ado, and the two friends chose three more musicians from the best artists Poland had to offer to form the Warsaw Piano Quintet; with this ensemble they launched their first world tour with great success in January 1963 in London's Wigmore Hall, and went on to give several hundred recitals all over the world in this formation in the years 1963-67. Then Gimpel was offered a professorship in Connecticut: his new duties there did not leave him enough time to play in the Quintet as well, so that he resigned, leaving my father in charge of the ensemble. 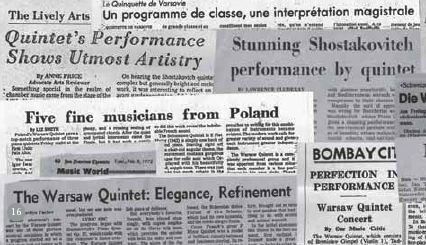 Until it was dissolved in 1986, the Warsaw Piano Quintet gave another 2,000 or so recitals worldwide. It was the fixed line-up that made this ensemble so unique. Normally, piano quintets were played by a string quartet that added a pianist for occasional quintet performances. But the many years in which the Warsaw Piano Quintet regularly played together enabled the five musicians to grow into a close-knit group. By renouncing any need to put their individual artistic personalities to the fore, all the musicians placed their skills at the service of the works they played, thus finding the highest possible recognition with audiences and critics alike wherever they appeared. He was also entrusted with what was a special task in those days: he guided the listeners through the programme live. While the microphone was passed over from one invited guest to the next, my father improvised musical transitions from one piece to the next, from one key to another, until the changeover was complete - and this could take several minutes. With the Polish Radio orchestra and Grzegorz Fitelberg, Szymanowski's companion of many year's standing and the leading Polish conductor of his day, he travelled to the World Exhibition in Paris in 1937 to perform Szymanowski's Symphonie concertante. 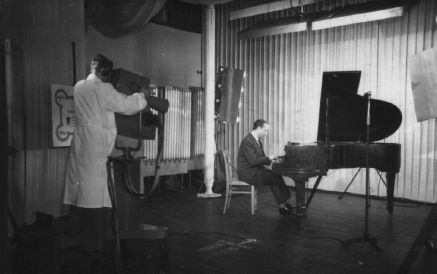 On 23rd September 1939 he gave a Chopin recital that was to be Polish Radio's last live broadcast before it was shut down: as such, it gained historical importance. For Wladyslaw Szpilman, the war years destroyed everything that a man and an artist can possess. After two years of internment in the Warsaw ghetto, struggling to survive and in constant danger, and after dramatic events at the transshipment site there, his entire family was transported to Treblinka in 1942, where they were all murdered. Not even photos or personal mementos were left: the Nazis wanted to wipe out every trace of the Szpilman family. It was a miracle that my father survived. He had already gained considerable renown before the war with his radio appearances and his chansons from cinema soundtracks, and this helped him to provide for the family in the ghetto. When the internees were boarding the train for Treblinka, an unknown Jewish policeman recognised him and saved him from a journey to certain death. He was later allowed to join a group of Jews who were renovating the house of the German commander in Warsaw, Kutschera, outside the ghetto, whence he was able to flee. Friends at Polish Radio hid him in their house, after which some 30 Poles helped him, and as many as 600 supported him, among them Witold Lutoslawski and the violinist Eugenia Uminska, who gave concerts to collect money to save him. All these people were united by one thing: music. And as the war finally drew to a close, it was once again Szpilman's art that saved him: alone for months on end in the ruins of Warsaw, he used music to give himself strength, going through all the pieces he knew in his head. I was very close to my father, but I was never able understand where this delicate man found the superhuman strength to overcome all the dreadful things he experienced. Music seemed to me to be the only possible answer. In November 1944, at temperatures well below minus 20° centigrade, my father was close to starvation when a German officer found him in his hiding-place. The German was obviously filled with despair himself, and longed for some music in the wasteland of the ruined city. He asked my father to play the piano for him. An astonishing stroke of luck if ever there was one: the chance of coming across a German humanist in Warsaw at this time and under these circumstances was about nil. And yet the two men were united by their love of music. Hosenfeld brought my father food several times, and helped him find a better hiding-place. Only in 1950 did my father manage to find out the officer's name. Immediate attempts were made to rescue Captain Wilm Hosenfeld, but in vain: at this time, the Russians were not interested in releasing a West German soldier from their PoW camps, and Wilm Hosenfeld died in Stalingrad in 1952. Immediately after the liberation of Warsaw in January 1945, my father resumed his work for Polish Radio, where he felt at home again straight away. At night he slept under the piano, and during the day he wrote arrangements for the musicians, organised the programmes, composed chansons and played in recitals both as a soloist and as an accompanist. It wasn't long before the dexterity returned to his fingers, and the earliest of the archive recordings in this collection date from his first concert tour to Scandinavia: they were made by Swedish Radio in Stockholm in 1946. I often have to ask myself how my father would have played if he hadn't given up for five years. 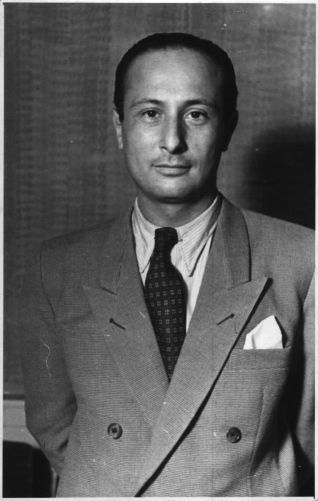 In 1947 he travelled to France and to South America with Bronislaw Gimpel, where he was able to get a few family photos back that had been sent there before the outbreak of war. These were the only such pictures that had survived. Gimpel also played a special role in the story of the piano suite Das Leben der Maschinen (The Life of Machines). 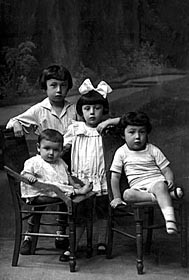 Not unlike the photos of Szpilman's parents and siblings, this composition was brought back from the hereafter by a miracle, as it were. My father composed it in 1932 while he was studying with Franz Schreker in Berlin, and not long after he sent a copy to the pianist Jakob Gimpel in the USA through his brother Bronislaw. The original manuscript was destroyed, together with his violin concerto and all the other works from the pre-war period, when a house he was hiding in in 1944 burned down. After the war, my father was only able to reconstruct the last movement, the Toccatina. Not until 2001 was the complete suite rediscovered in Los Angeles, and it has since been published. 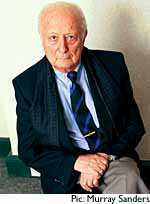 Up to 1963 Wladyslaw Szpilman worked as assistant director of music at Polish Radio. During this time, and later until 1970, he wrote some 500 songs, 50 of which enjoyed enormous popularity. Some were accused of being American in style, however, so that they never gained acceptance. He was especially fond of composing for children, and 30 children's songs and some 20 radio plays came from his pen. My father died on 6th July 2000: fortunately, he lived to see his book published in 1999 and become an immediate bestseller in England and the USA. He never dreamed it would be such a success. He didn't think anyone would be interested in his and his family's story, and when his friend Artur Rubinstein had tried to offer the book to a publisher in the 1970's, it was turned down on the grounds that it had insufficient chance of selling. At the time of publication I had the first opportunity to talk to my father seriously about his wartime experiences. I also told him about my plans to publish his work. It gave me great pleasure to also produce his first solo CD. We spent a lot of time discussing which recordings to choose, and in 2001 I established contact with both SONY Classical and Boosey & Hawkes, one of the leading international music publishers. Boosey & Hawkes publish my father's compositions, and thanks to their efforts these are now played all over the world. So far, SONY Classical has released the exceptionally successful solo CD featuring original recordings of my father, as well as a studio production of his piano and orchestral compositions with the Berlin Radio Symphony Orchestra and Ewa Kupiec conducted by John Axelrod (SONY Classical SK93516) - an important document of my father's work as a composer. 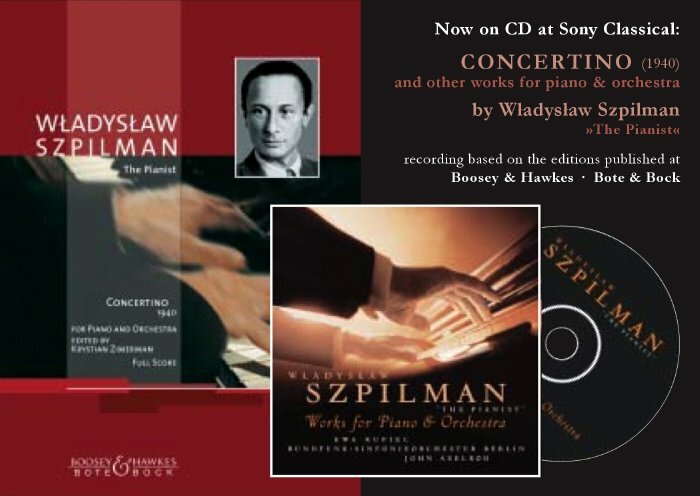 This CD edition provides the first truly comprehensive overview of the many facets of Wladyslaw Szpilman's work as a pianist, something that was not possible even in Poland during his lifetime; I am extremely grateful to SONY Classical for making this possible. Most of the music heard here is appearing on disc for the first time. I digitalised and remastered the original archive recordings, also removing the surface noise. 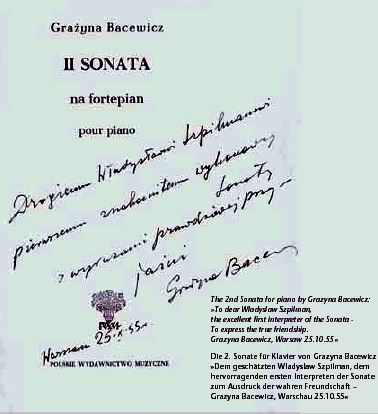 The piano sonata by Grazyna Bacewicz is a live recording taken from a Polish Radio broadcast of the first performance in 1953. The Prokofiev piano sonata was already broadcast by the Warsaw station in 1947 as the first performance in Poland, but the following year, tape recording was introduced, so we decided to use a recording from a later broadcast dating from 1953. The recordings of Chopin pieces heard here - the Polonaise-Fantaisie op. 61, the Ballade in F minor op. 52 and the Nocturne in C sharp minor op. posth. - give an impression of the last live broadcast before the Warsaw broadcasting centre was destroyed in September 1939. And for many people it doubtless seemed nothing short of a miracle that it was once again my father who gave the first postwar broadcast with the same programme from the rebuilt broadcasting centre in 1946! My father's own Mazurka, more a reminiscence than a copy of the Chopin piece, was recorded in 1946 at Swedish Radio in Stockholm. 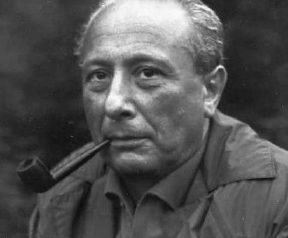 He wrote it in 1942 in the ghetto for a revue entitled "Casanova", for which the poet Wladyslaw Szlengel, who was later murdered, supplied the text; the desperate inhabitants of the Warsaw ghetto were fond of listening to the revue in Café Sztuka. The piece told the story of a trip around the world, providing the audience with at least the illusion of something that was unattainable for them. With the Mazurka my father found a way around the strict ban (which he actually broke frequently) that forbade Jews to play Chopin. 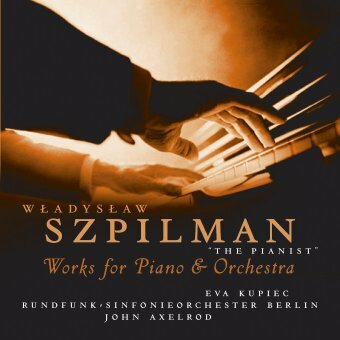 In addition to his work as a pianist with a repertoire ranging from Classical to modern pieces, Wladyslaw Szpilman was also a keen jazz pianist, a combination unusual in those days. Thus in 1947 he hit upon the idea of playing a quarter-hour of jazz on Polish Radio once a week. I have been approached several times in recent years by now famous Polish jazz musicians who can vividly recall listening with great interest to my father's jazz programme, as it was the only access they had to modern harmonies. Of course, the music broadcast could not officially be called jazz: like everything American, jazz was banned in Poland after the war, so the programme was broadcast as dance music. My father smuggled a few banned pieces into the programme, and was attacked by the media as a result: the programme was discontinued, and the recordings of three broadcasts were erased. Luckily for us, one of the sound engineers secretly made a copy which he kept at home, and returned to the Polish Radio archive a few years ago. We have included four short extracts here as bonus tracks. I am particularly pleased to be able to present some of the many duet recordings my father made together with the violinist Bronislaw Gimpel. In addition to well-known compositions like Beethoven's "Spring" sonata and the Grieg violin sonata, we decided to include a few lesser-known pieces such as Karol Rathaus's Pastorale und Tanz of 1937. As far as we can ascertain, this seems to be the very first recording of this work. Rathaus studied with Schreker in Vienna in the late 1910's, and was one of the outstanding and most successful Polish composers of his generation until he had to flee the Nazis and went into exile in America. A few other short pieces demonstrate the enormous stylistic range of both these artists, and in particular the remarkable symbiosis of two musical personalities that often managed to play not just with one breath, but with one soul as well. We followed the same principle with our choice of recordings by the Warsaw Piano Quintet. The wonderful Schumann quintet is supplemented by a quintet by Juliusz Zarebski, a master pupil of none other than Franz Liszt, that is unjustly little-known in the West. My father was very fond of placing this piece on the concert programmes next to the second piano quintet by Grazyna Bacewicz, which she had written specifically for the ensemble. A successful cinema film often makes the public keen to find out more about the main character(s): it is in the nature of the genre that a lot of relevant information has to be sacrificed to produce a film of acceptable length. As far as the life and work of Wladyslaw Szpilman beyond Polanski's film is concerned, this CD anthology makes a significant contribution to a better understanding of the true artist that Szpilman was. My father was a man who lived for music, and whom music enabled to survive. His art might already be well-known if history had evolved differently. Roman Polanski stands in front of exhibition featuring Wladyslaw Szpilman - Yad Vashem Museum. 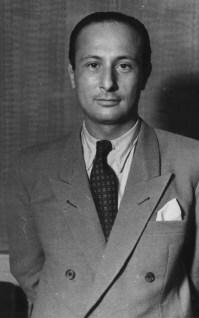 BERLIN  German officer Wilhelm "Wilm" Hosenfeld saved two Jews from the Nazi Holocaust, including Wladyslaw Szpilman, whose story was the basis of the Oscar-winning film "The Pianist." But he died in obscurity in a Soviet prison after World War II. More than 60 years later, Israel's Yad Vashem honored him Friday with the "Righteous Among the Nations" distinction  presenting members of his family with a medal in tribute to the actions he took in Warsaw. "He exercised a very, very human kind of behavior and he had to hide this from the unit he was part of, and do it on his own  it was quite dangerous," Yad Vashem Chairman Avner Shalev said by telephone before the ceremony, which he was unable to attend due to other commitments. 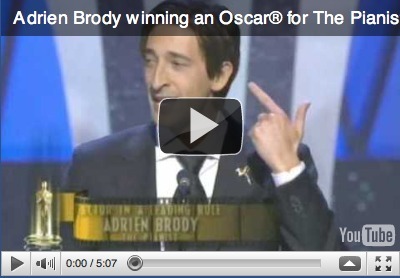 "He really is the kind of person who should be honored and decorated as a unique human being." Hosenfeld's son Detlev welcomed the recognition for his father. "It is so important to me today to make clear to young people, who have a totally different perspective on life, that the Holocaust for us Germans is a moment in time that must not be forgotten," he said during the ceremony at Berlin's Jewish Museum. Hosenfeld was an officer in the Wehrmacht stationed in Warsaw for most of the war. Though he had joined the Nazi party in 1935, he grew disillusioned with Hitler and the war crimes being committed  keeping diaries documenting the abuse of Jews and others. The first Jew he is known to have helped was Leon Warm, who escaped from a train to the Treblinka death camp during the 1942 deportations from Warsaw. Warm made it back to the city, where Hosenfeld provided him with a false identity and gave him a job in a sports stadium, according to Yad Vashem. Hosenfeld encountered Szpilman in 1944, when the musician was looking for somewhere to hide after the city was razed in the brutal Nazi suppression of the Warsaw Uprising. "He was left helpless, he didn't have any shelter ... when he was moving among the ruins of the buildings he was found by this officer, Wilhelm Hosenfeld," Shalev said. "He was sure that he had caught him and that he would shoot him down on the spot, but this German officer gave him some food, gave him a blanket and told him to stay in a place, and then provided him with more food and supplies." 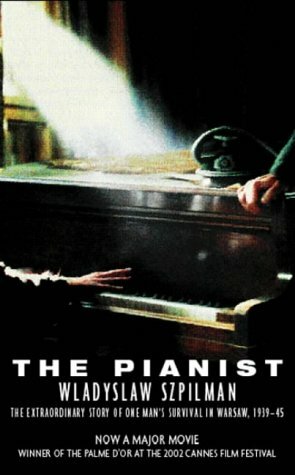 Szpilman's experiences became the basis for Roman Polanski's 2002 film "The Pianist," for which Polanski won the best director Oscar and Adrien Brody took the best actor prize for his portrayal of Szpilman. 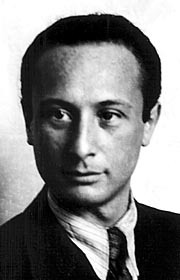 Hosenfeld was taken prisoner in 1945 by the Soviets and sentenced five years later to 25 years in prison on charges that he interrogated prisoners during the Warsaw Uprising and sent them to detention, "thereby strengthening fascism in the struggle against the Soviet Union," according to Yad Vashem. He died in a Soviet prison in 1952. Szpilman had applied to Yad Vashem in 1998 to have his rescuer recognized. But the awards commission wanted to first make sure there was nothing to the Soviet allegations, Shalev said. "All the facts are here: He saved two Jews and he risked his life himself by doing it, and didn't get any reward for it," Shalev said. "He was not involved in executions or performing any crimes against humanity as a soldier  he interrogated Polish citizens, but we couldn't find any sign he did anything against the basic code of human behavior." Szpilman's son, who helped lobby for the award after his father's death in 2000, said it was long overdue. "From the beginning of the war, Wilhelm Hosenfeld gave help to many people regardless of religion or race, but after the war he experienced injustice," Andrej Szpilman said. "What is happening here today is the least that can be done for the people who distinguished themselves by defying orders." 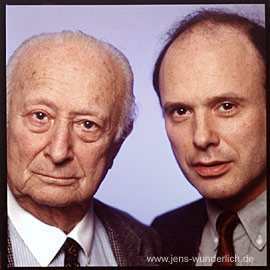 Feb. 16 (Bloomberg) -- Wilm Hosenfeld, the German officer whose assistance to Wladyslaw Szpilman in the movie The Pianist made him famous, has been posthumously recognized as a Righteous Among the Nations for risking his life to save Jews during World War II. Hosenfeld was named by the committee set up by Israels Holocaust museum Yad Vashem after Szpilman wrote to Yad Vashem to say that the Wermacht officer stationed in Poland helped him find a hiding place and provided him with food, blankets and moral support in November 1944. The pianist also mentioned Hosenfeld in his diaries, which later became the basis for Roman Polanskis film The Pianist, the museum said in an e-mailed statement. The title, Righteous Among Nations, is awarded by a special commission headed by a Supreme Court justice based on a well- defined set of criteria and regulations, according to the Yad Vashem Web site. It's probably just as well that director Roman Polanski didn't attend Wednesday's L.A.benefit preem of "The Pianist" at the Loews Cineplex Century Plaza: The sound system in the main theater broke and the audience never saw the film. For the first few minutes of the screening, many in the crowd thought the audio problems were the director's artistic choice. The 2002 Cannes Palme d'Or winner begins with the Nazis' WWII assault on Warsaw, and it was possible to imagine that the actors' muted voices -- as opposed to the bombing that was heard clearly -- might indicate deafness caused by explosions. However, it quickly became apparent that something was wrong with the speakers and the projection stopped. An announcement was made that "the film is being rethreaded and the Dolby guy is here." The audience milled around for 45 minutes -- "I told him to make a silent film," was one wit's comment -- before Focus co-prexy David Linde came out and said, "The guys can't figure out what's wrong with the machinery, except it doesn't work." 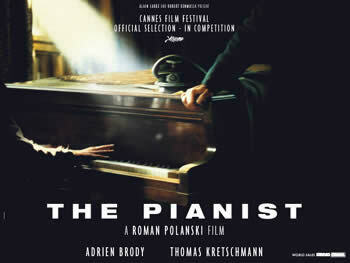 Andrzej Szpilman, who is the son of the main character, said that because "The Pianist" is a film where the tone of the musical score is so crucial, Polanski had come to the Warsaw preem three days early for sound checks. He described the director as a perfectionist. Most of the audience, which included star Adrien Brody, Jeff Berg, John Burnham, Martin Landau, Fran Drescher, Bruce Vilanch and Jack Nicholson with Lara Flynn Boyle, were at the affair that featured a 12-minute performance of a Gershwin-like Wladyslaw Szpilman concerto by the 40-piece L.A. Jewish Symphony. Considering how many things went wrong, the crowd was in a surprisingly good mood. It certainly wasn't like being at the airport when a flight is canceled. The guests went right to the buffet, listened to the orchestra and then socialized. A Focus rep said special screenings were being arranged so that the audience could see the film over the next two weeks. A simple example helps illustrate how little is known about this side of the story: Maria Krasnodebska, friend and protector of Wladyslaw Szpilman, the hero of The Pianist, shared an of&Mac222;ce with Irena Sendler during the war. To keep Szpilmans whereabouts hidden from the Gestapo Krasnodebska found several safe accommodations for him and arranged for food and provisions to be brought to him in hiding. In 1943, Krasnodebska ran out of money and she turned in secrecy to Irena Sendler for help. Sendler arranged for Szpilman to be put on the Zegota list to receive aid so that Krasnodebska could continue to provide him with food and shelter. If the Gestapo had discovered either Szpilman or Krasnodebska, both would have been executed and Krasnodebska would likely have been tortured for the names of her accomplices. know anything about Maria Krasnodebska? 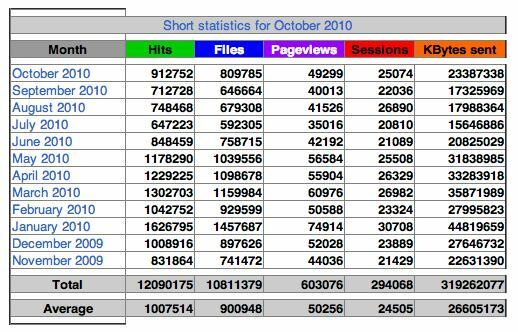 Mary Skinner - from the director statemant- movie "IRENA SENDLER In The Name Of Their Mothers"
Statistics since 28.10.2010, 8 p.m.